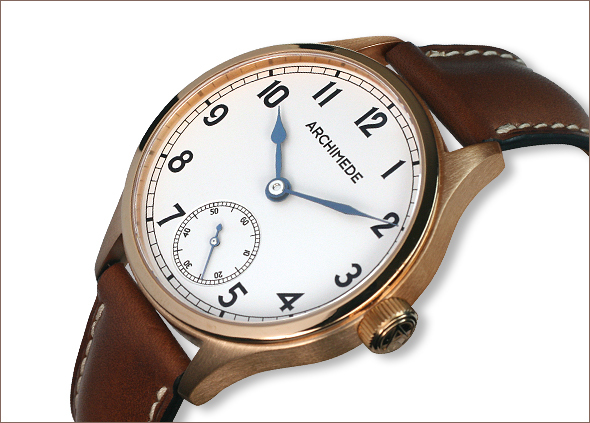 The DeckWatch Bronze with heat blued steel hands from ICKLER. 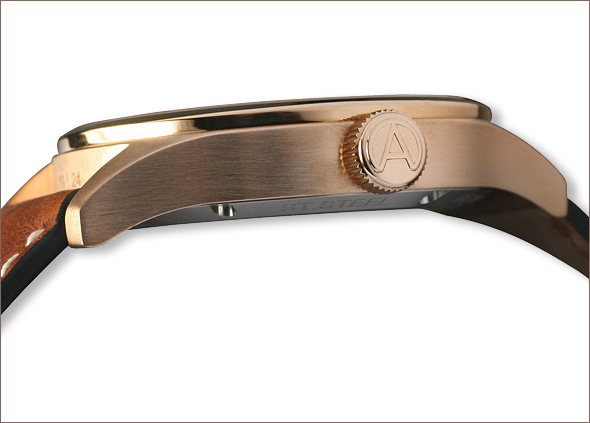 The Bronze case is fine brushed and polished. 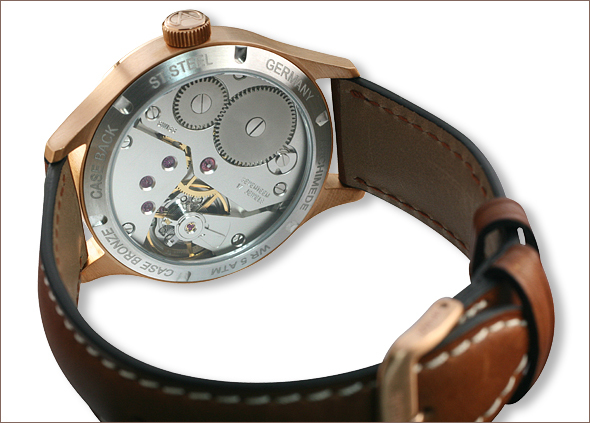 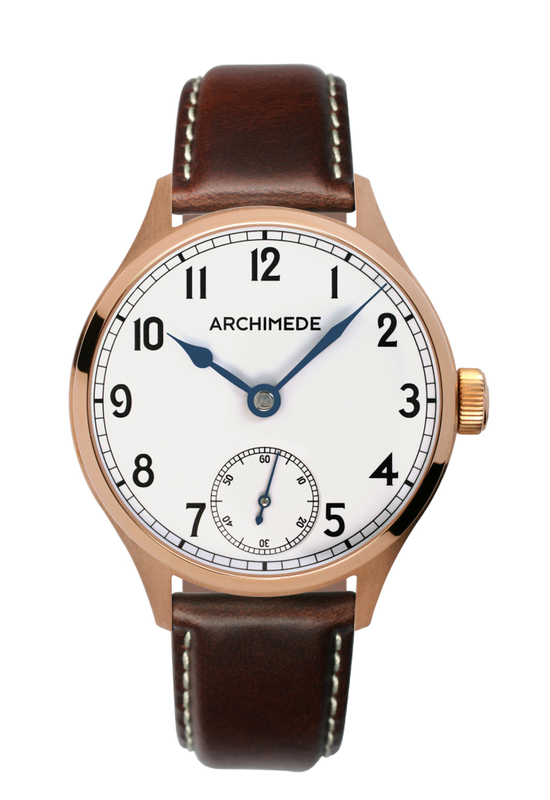 Polished Bronze crown, Display back (stainless steel), the reliable handwound movement Eta 6498, brushed Bronze clasp.